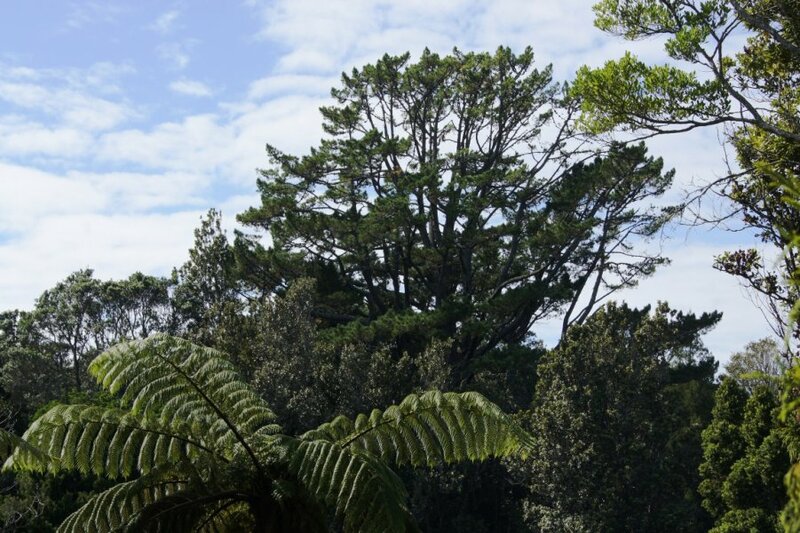 Large radiata pine on a small rise to the east of the fernery at Pukekura Park. 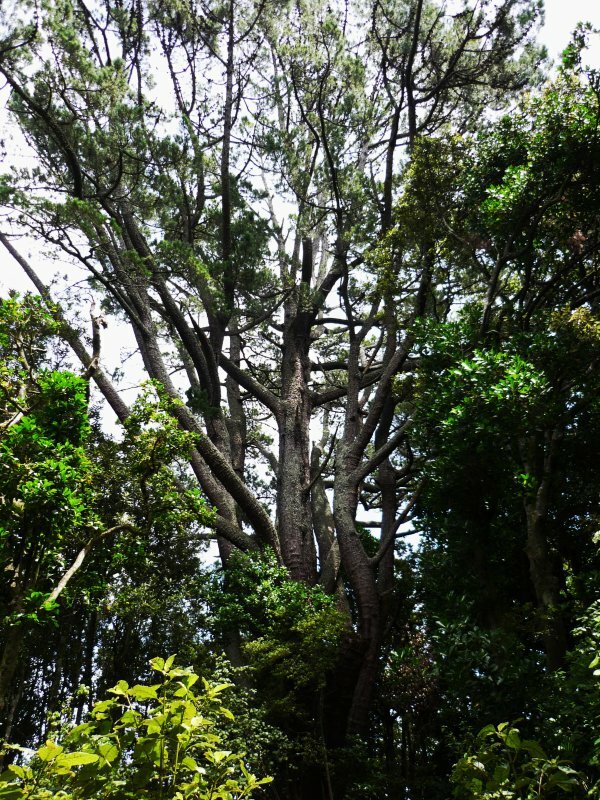 One of many large, old, pine trees in Pukekura Park, along with adjacent Brooklands Park, it is not the largest (see TR/0714), but still a very large tree for the species, with a magnificent crown. Difficult to measure because of sloping terrain. A healthy tree with some storm damage. 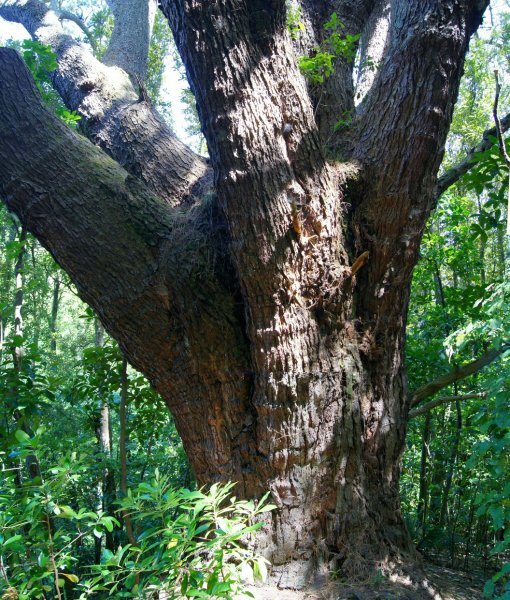 Single stemmed tree, with large, open grown crown. Branching at 2 m into a multitude of leaders. 04 Jul 2001 Smith, C.T. & Fuller, G.
22 Feb 1973 Burstall, S.W.